The circuit blocks in MAKESHOP are easily one of my most favorite things in our Museum. They might not be the prettiest things in the Museum but they do have a certain charm to them. 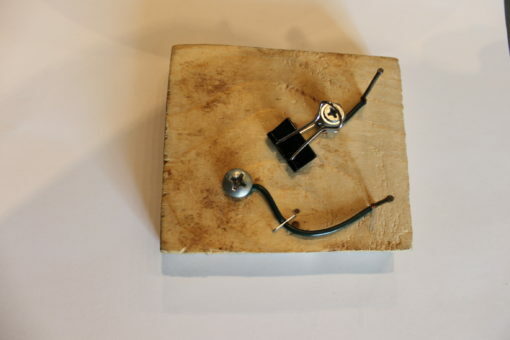 “Circuit blocks are a set of components, switches and powers sources mounted on wood that can be connected together with electrical wires. 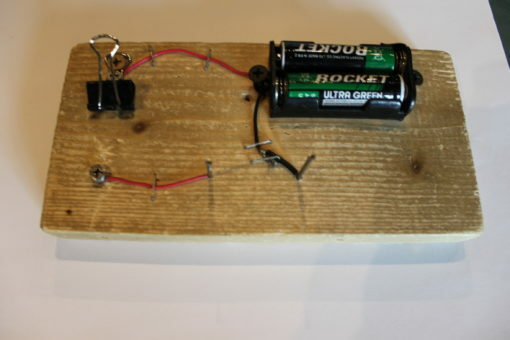 They are used to allow children and adults the chance to explore electricity through trial, error and experimentation. 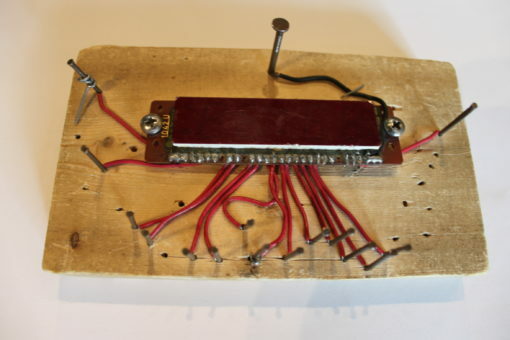 We tend to make ours out of components we find in old electronic toys and appliances (VCRs, DVD players, etc.). The LCD screen above came out of a digital clock. 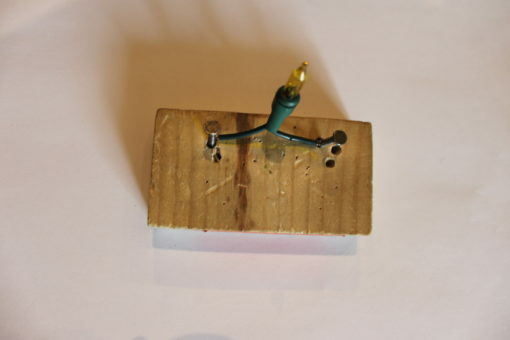 Old holiday lights make for an easy, simple, fun circuit block. Another big part of circuit blocks are switches. Being able to turn something on or off can be a lot of fun for kids and adults alike. 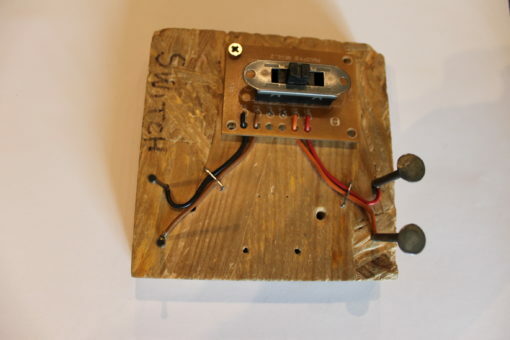 Some of our switches come from old electronics devices. 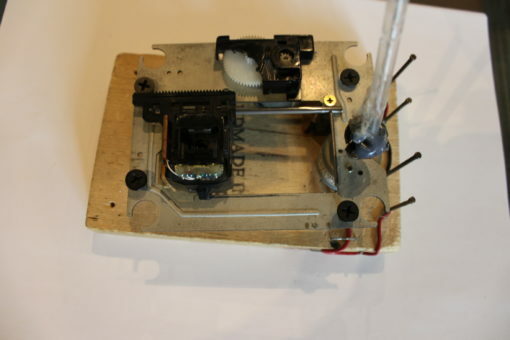 We also try our best to make simple switches out of everyday materials. A binder clip makes for an amazing toggle switch. This might be the first time that I have put my thoughts on circuit blocks down in words. I love making circuit blocks. I love their handmade look. The fact that they don’t always work is OK. 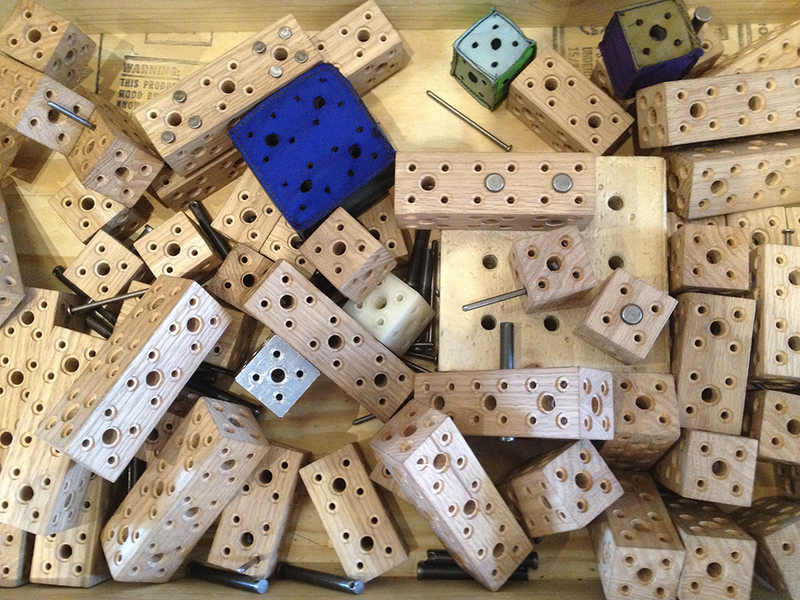 The act of fixing them is a teachable moment that visitors can easily participate in. A person can spend a couple of minutes playing with our circuit blocks. A person can also spend even more time really exploring how they work and how they are made.